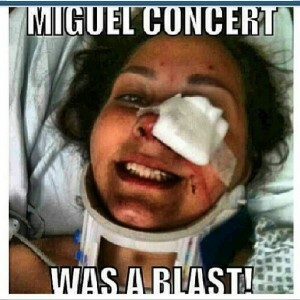 The young lady who was on the receiving end of Miguel’s leg drop at the Billboard Music Awards may have suffered brain damage from the incident. Khyati Shah’s lawyer tells TMZ that Shah is still suffering as a result of the incident. “Some of the difficulties she’s experiencing are cognitive in nature and lead to suspicion of a neurological head injury,” he said. 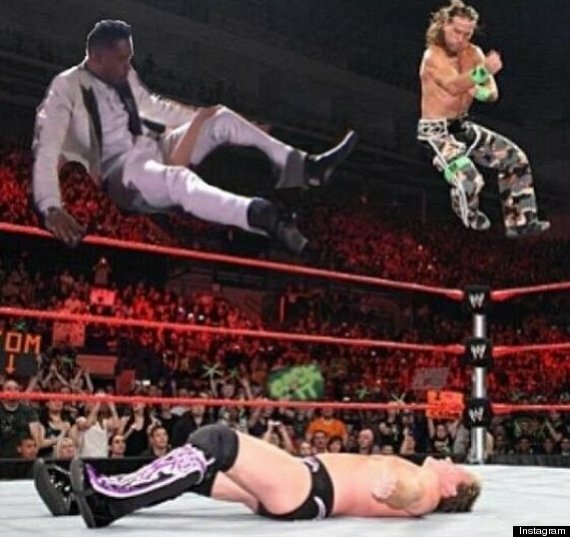 The incident instantly became a meme on Twitter and Instagram, with many users uploading photos transposing Miguel’s mid-air body onto different photos. Shah will wait to decide to sue until she receives word from her neurologist. 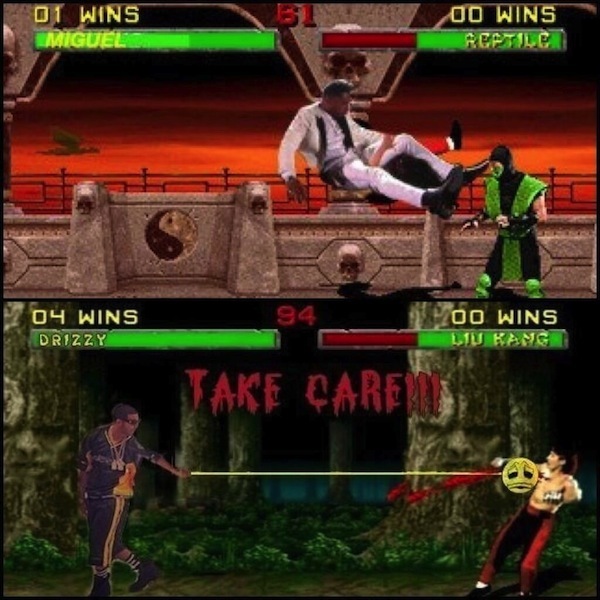 Pop the hood on a few comical images of Miguel. 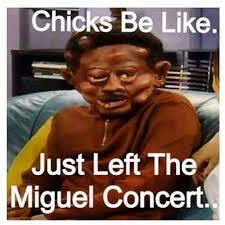 This entry was posted in Entertainment News and tagged Adorn, Billboard Awards, Miguel, R&B music, Smoooth Dee, TMZ. Bookmark the permalink.